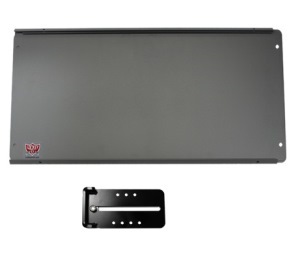 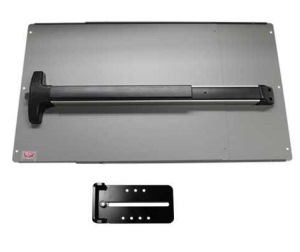 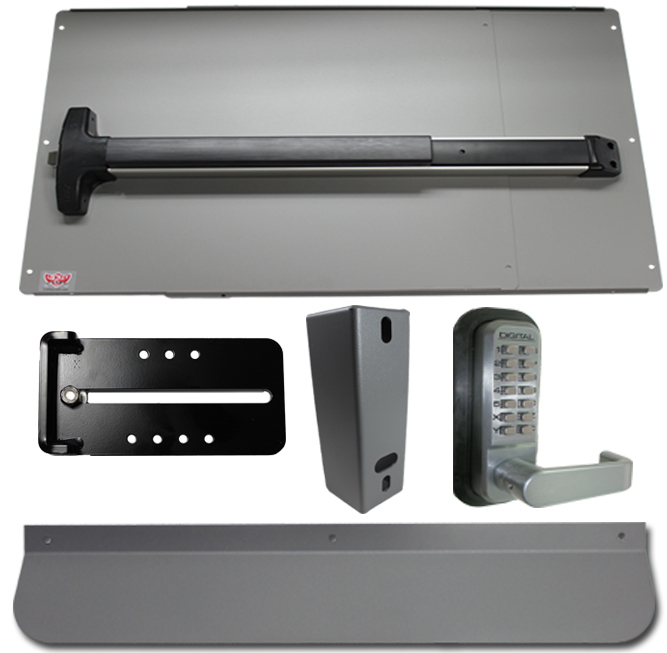 Lockey PS25-Value Kit Panic Bar and Panic Shield Includes a Lockey 2500 Panic Bar, Panic Shield and a Strike Bracket. 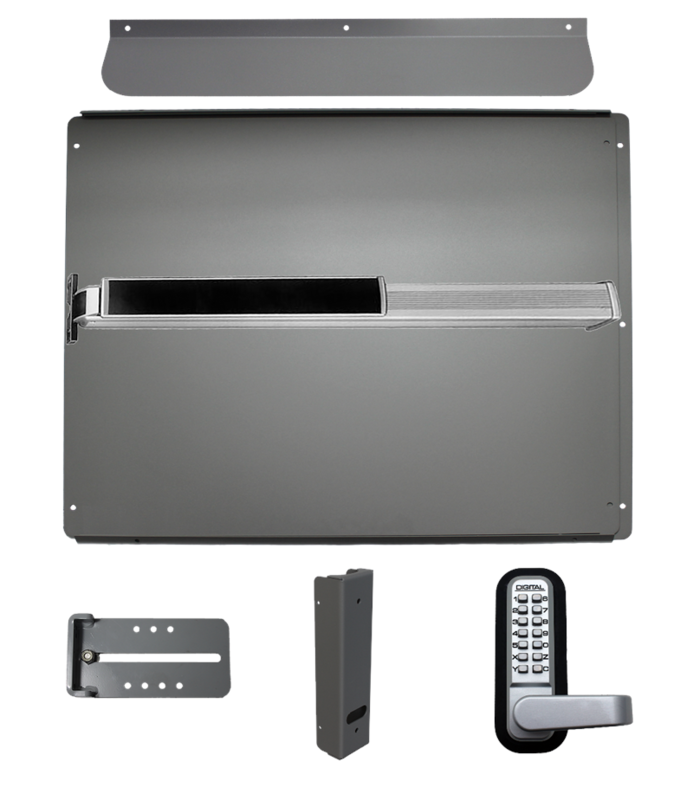 Black or Silver Available. 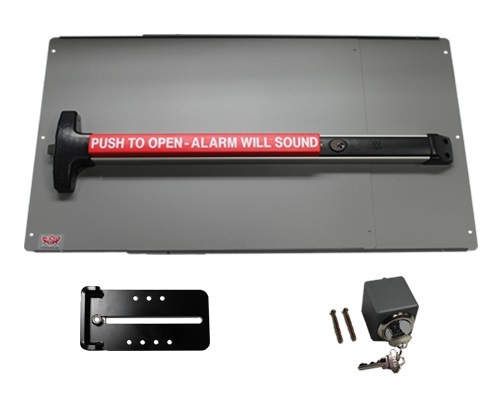 Alarm Option Available. 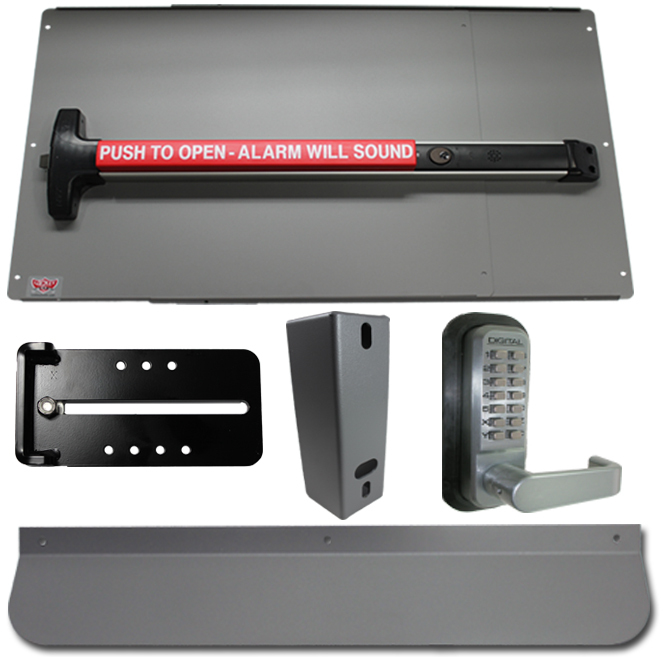 Lockey PS25-Safety Kit Panic Bar and Panic Shield Includes a Lockey PB2500 Panic Bar, Panic Shield, Strike Bracket, Keyed Cylinder and Key Box. 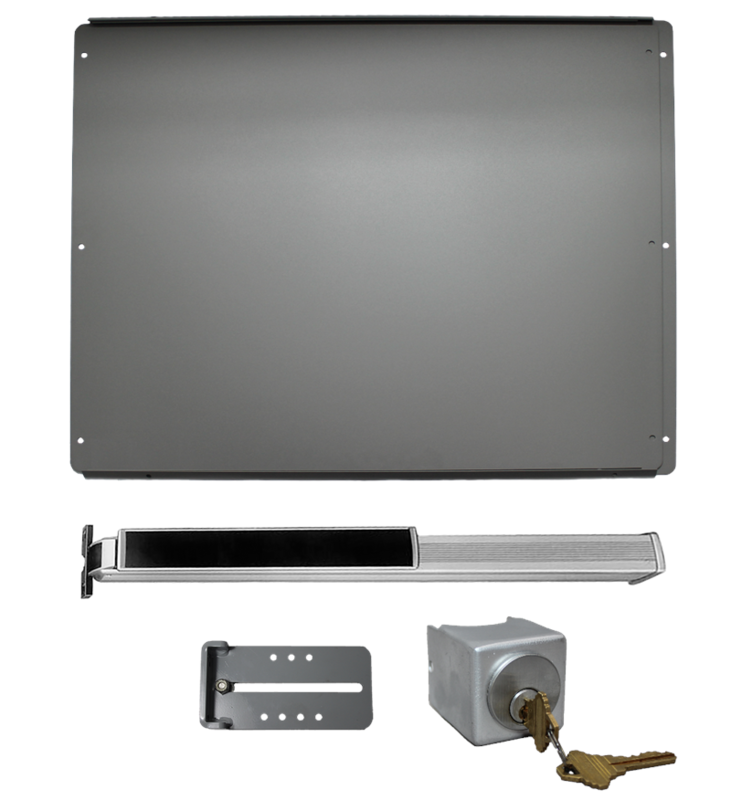 Alarm Option Available. 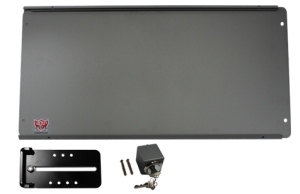 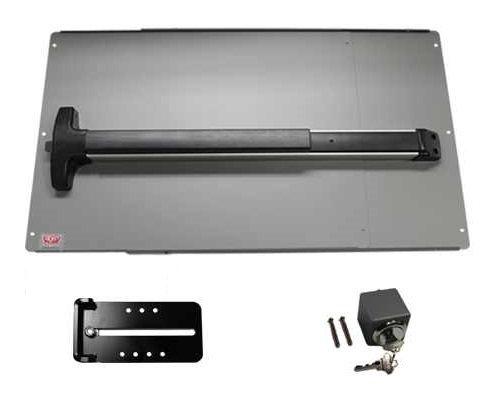 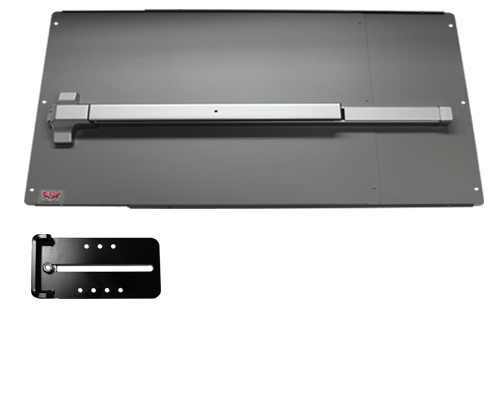 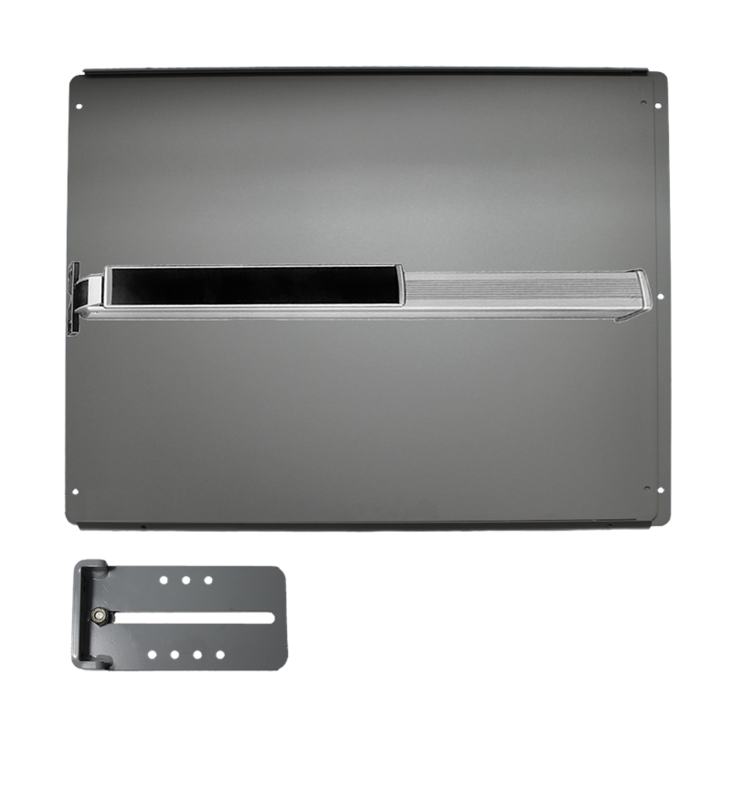 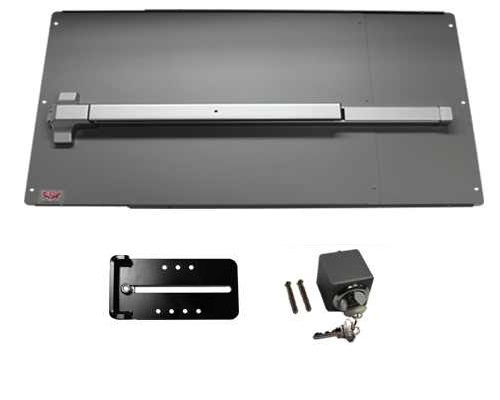 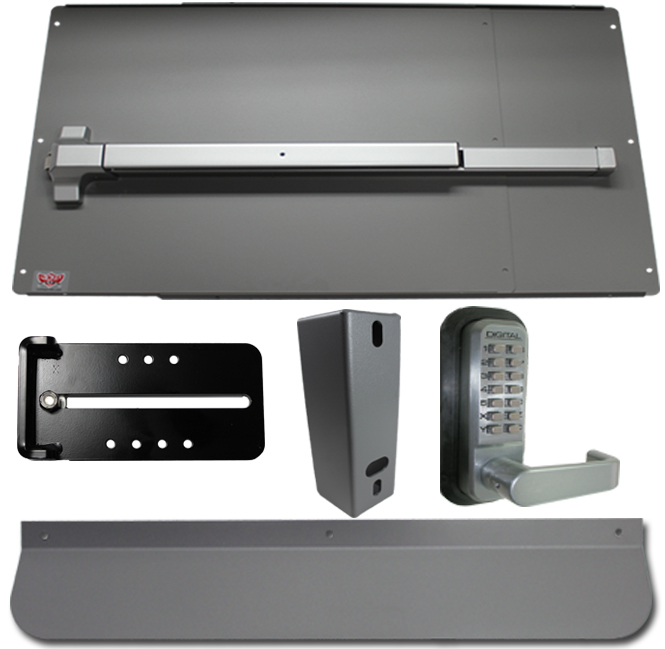 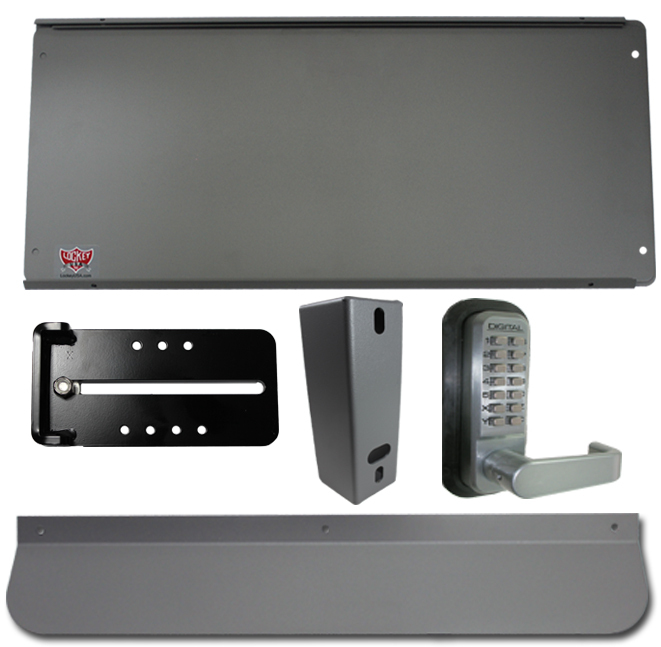 Lockey PS25-Security Kit Panic Bar and Panic Shield Includes a Lockey PB2500 Panic Bar, Panic Shield, Strike Bracket, Keyless Lock, Gate Box and a MAX-Guard Cover Plate. 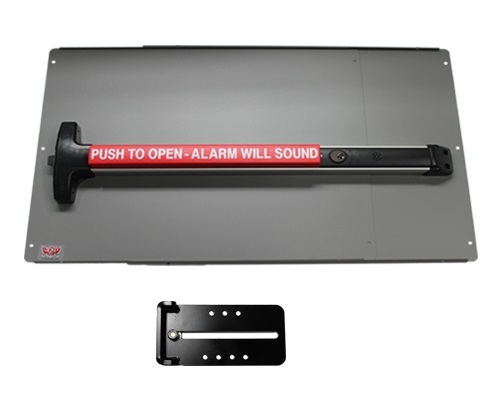 Alarm Option Available.